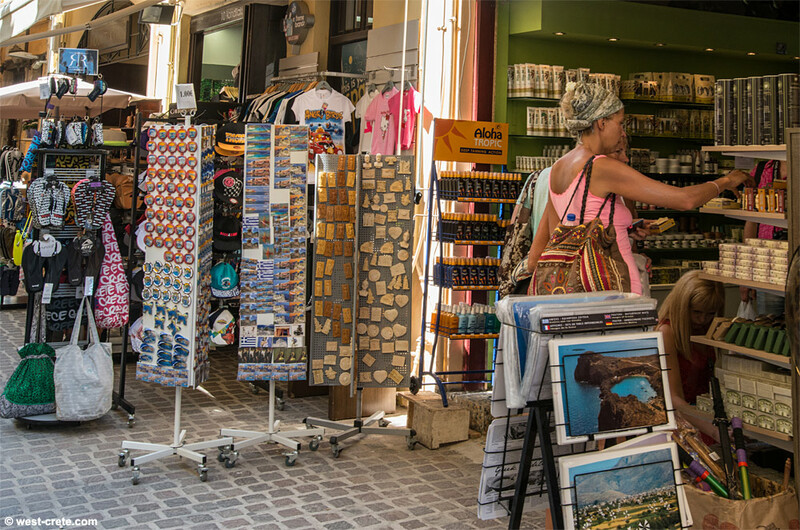 The 'new town' of Chania has all the shops that you'd expect in any city (food, clothing, electric goods to name a few) and not many tourists will venture in it because the 'old town', besides being much more pleasant, traffic free and picturesque, has a huge variety of shops that are more interesting to tourists. 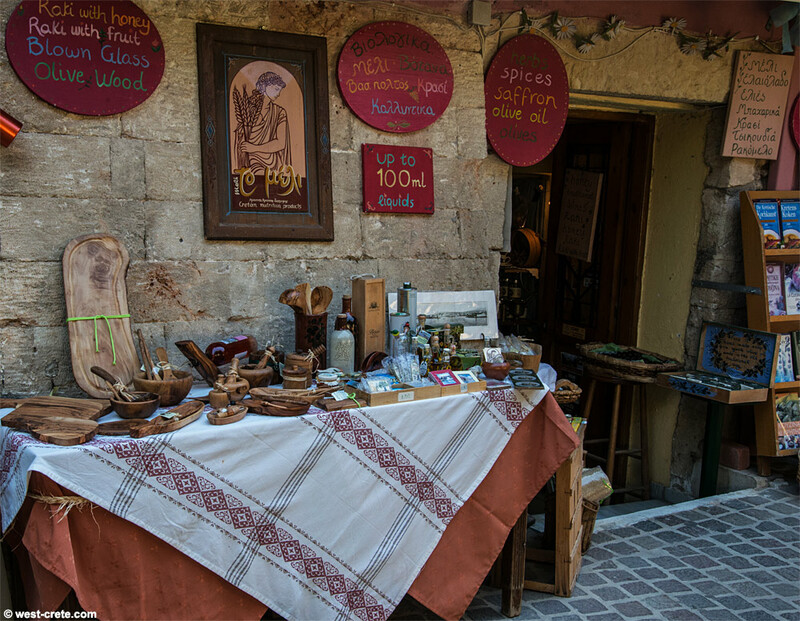 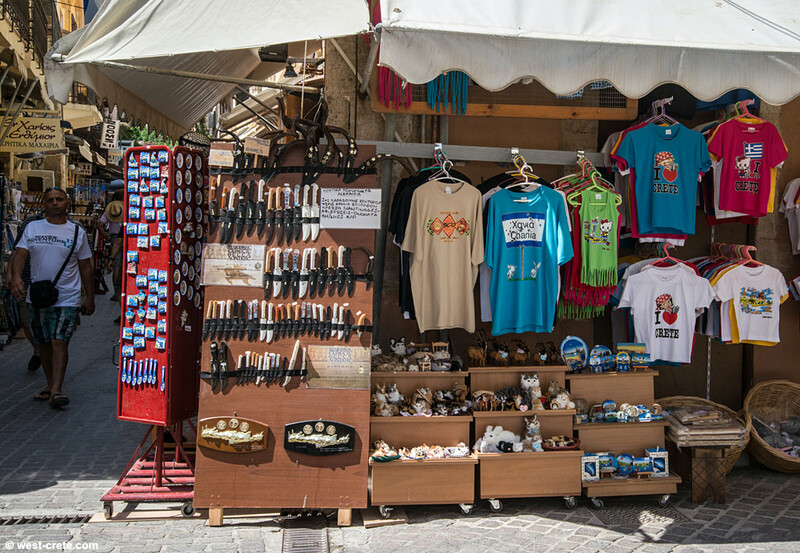 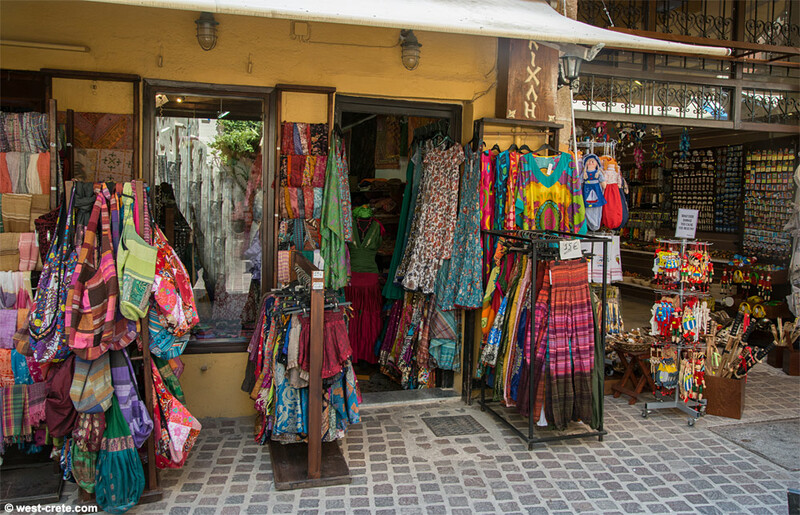 You will find just about everything from tourist junk to very creative jewelery and pottery, imported goods from India or Indonesia, local crafts, traditional Cretan knives, olive wood, natural products made with local herbs, oils and plants and that's just to name a few! 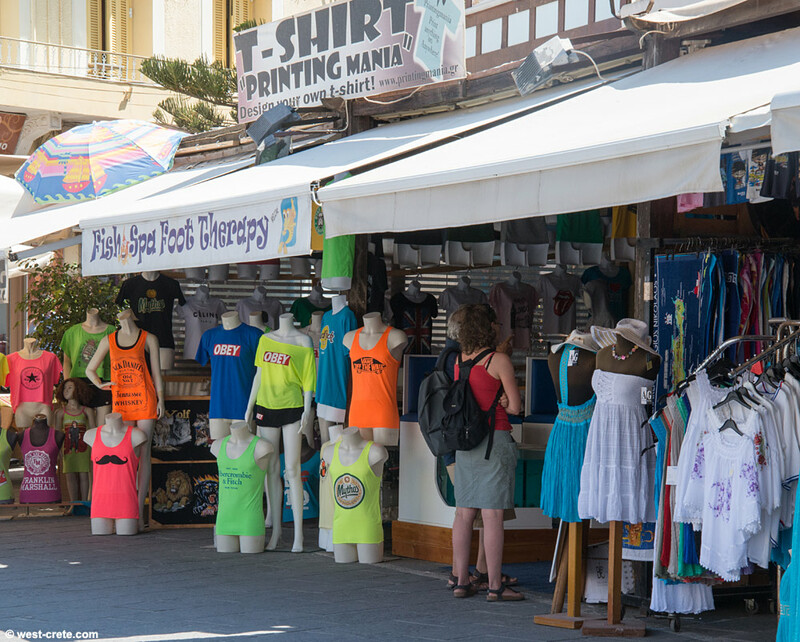 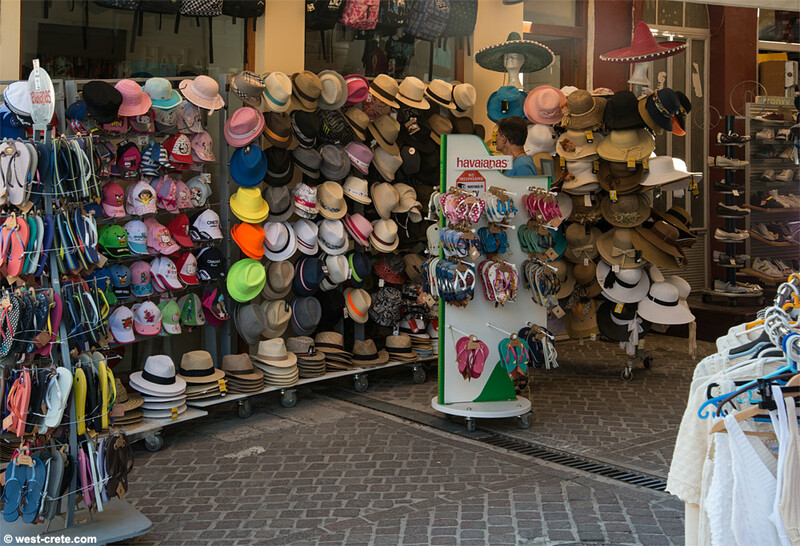 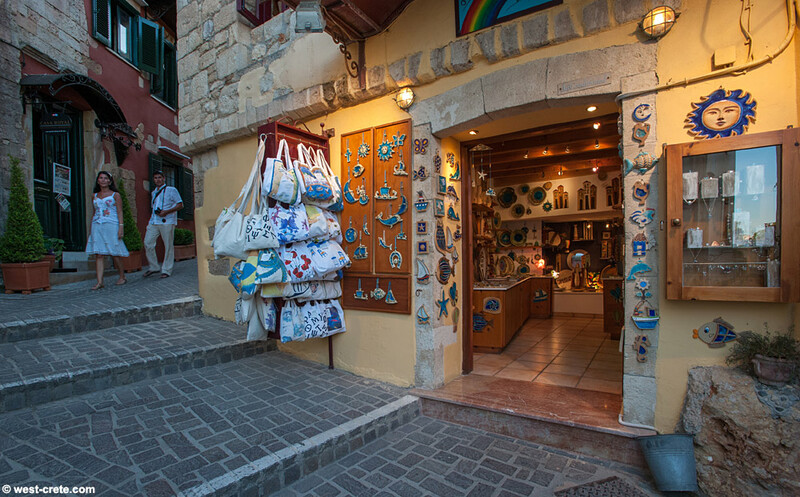 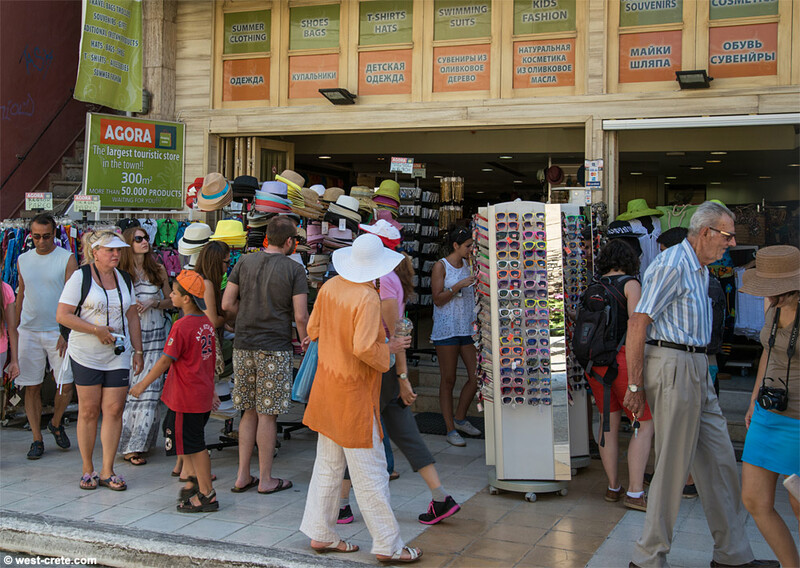 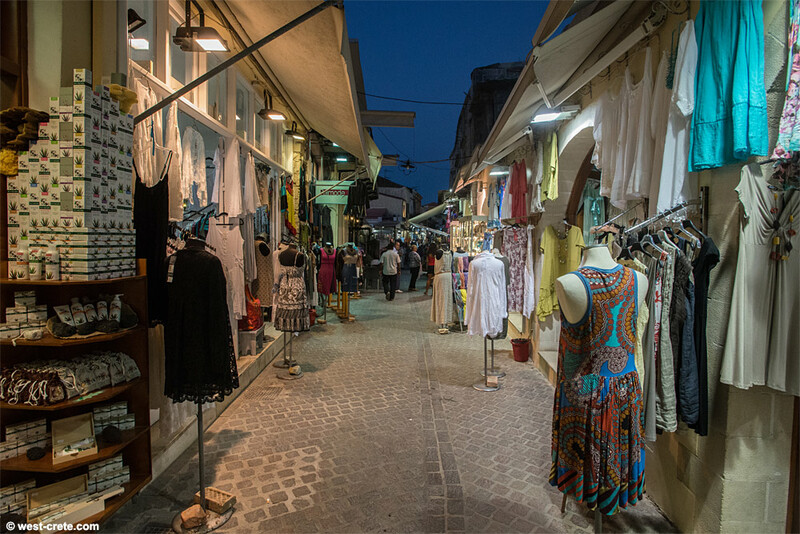 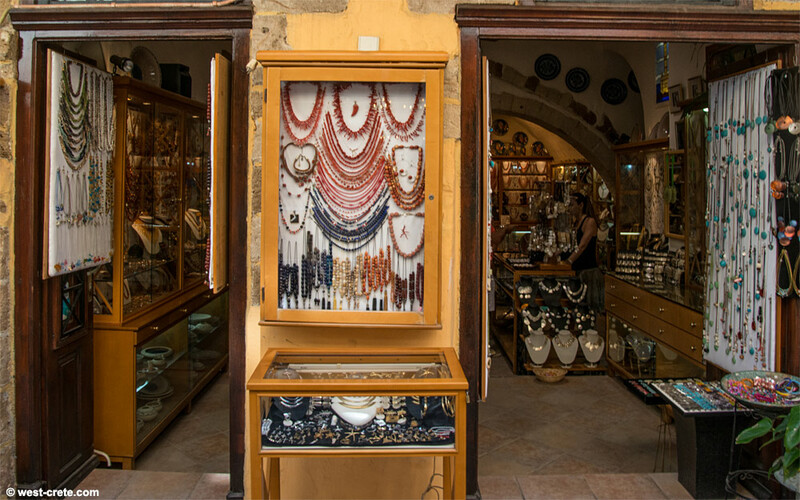 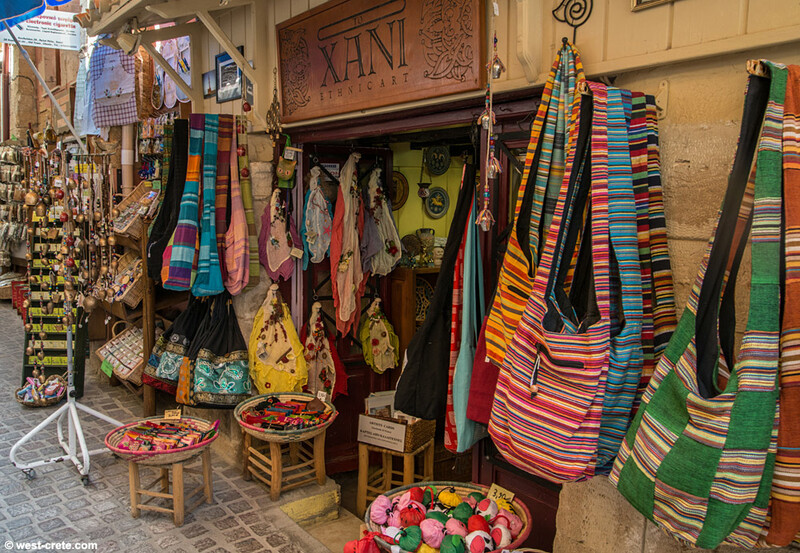 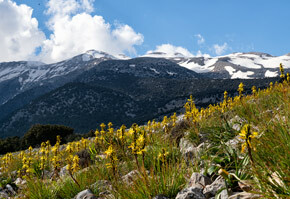 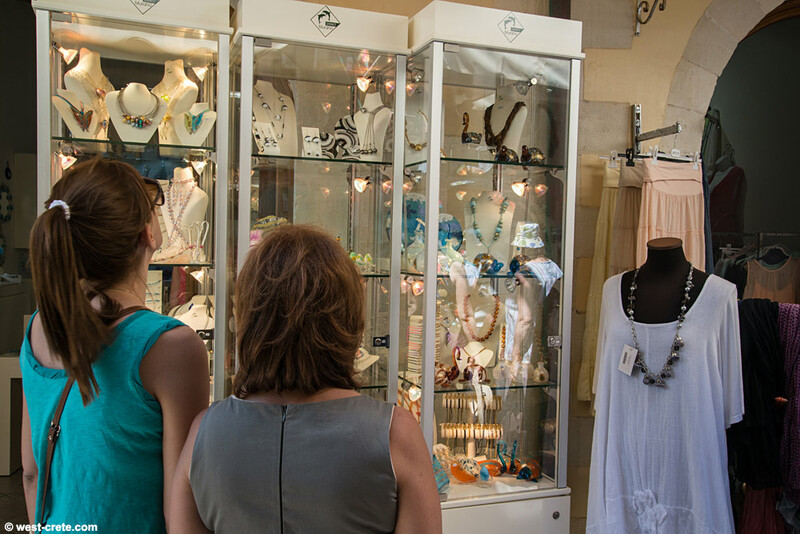 Chania is a great place for shopping and there are some real bargains to be had. 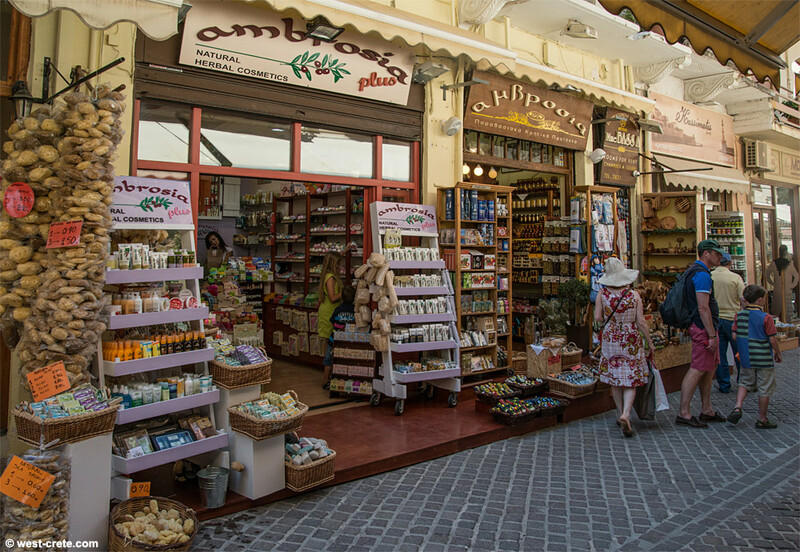 It is difficult to say exactly where you should go for shopping as there are small shops tucked in all corners of the old town (and many interesting shops are in unlikely corners) so it's best to just walk around and look. 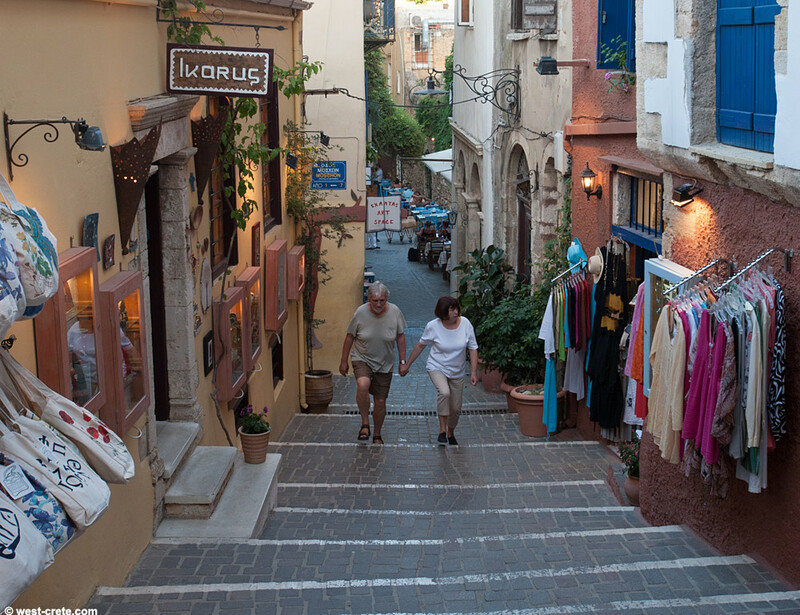 The busiest streets are Halidon (the main tourist street which descends from the Square 1866 to the harbour), Zambeliou (a small alley off Halidon at the harbour end) and Kondilaki (running parallel to Halidon) and of course "Leather Street" which is probably the busiest of all. 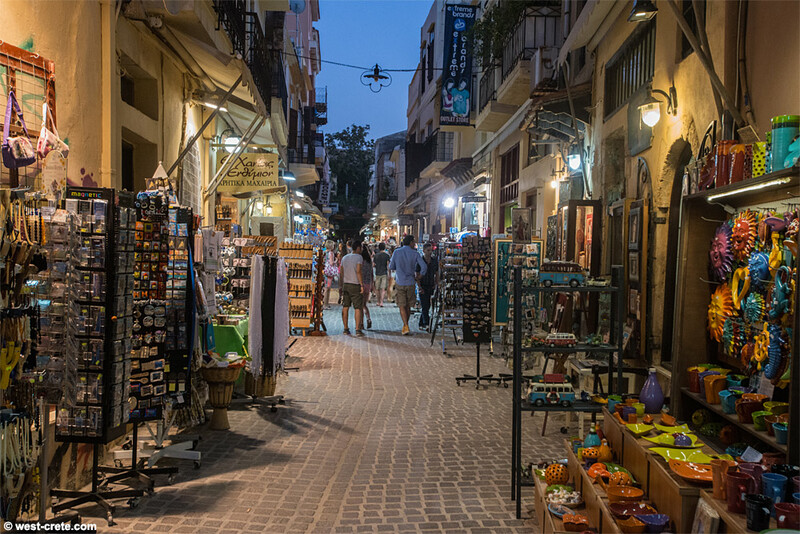 Those streets are also the most commercial so it's definitely worth exploring elsewhere too .